They hit the Shedd stage around 7:30pm. 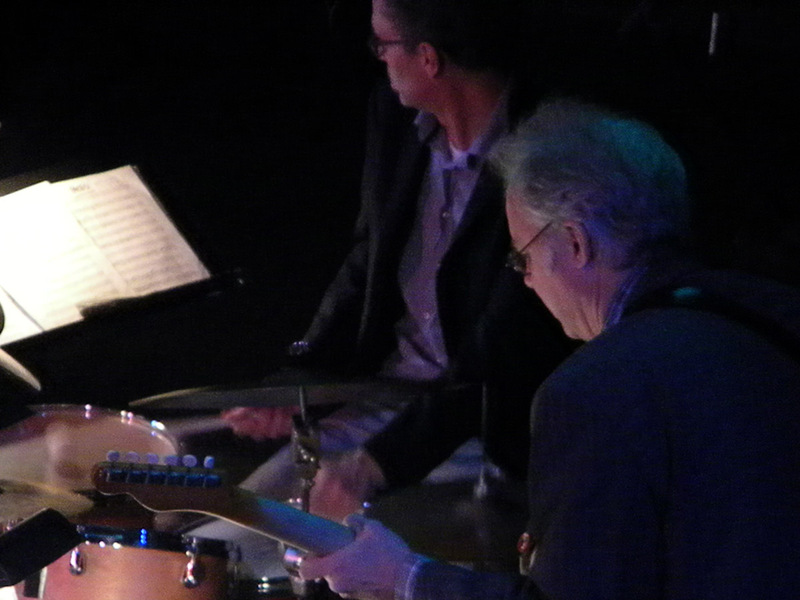 Differing from the retro live photo above, Tony Scherr was on electric bass. 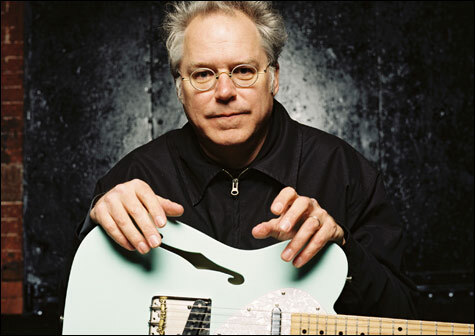 Kenny Wollesen played a standard kit, and Bill Frisell had a few guitars, pedals, gear to loop his sounds… and a big screen above them to show the congruous films as they played. 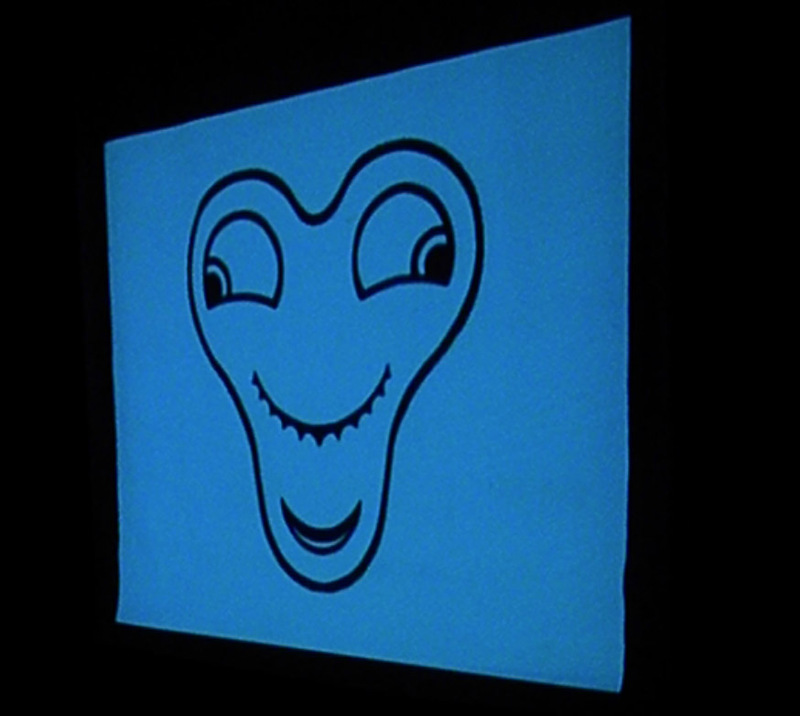 I was only allowed to take photos for the initial fifteen minutes, but the rest of the Woodring cartoons were somewhat related to the initial computer animations – many of the same morphing shapes show up, whether in a character, a beer tap, or a lamp. 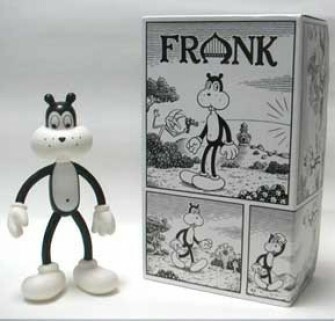 The primary character in the animations was “Frank.” We follow him around in his travels that either end in a big mess, a violent picnic, or death. The second Woodring piece introduced us to the aforementioned “Frank.” He tooled around his house and then went up into the hills to some odd looking palace, and when he returned, his house had been ransacked by some fat, troll-like human character. The animation appeared to be paper-based stop-motion animation. The music had a Floratone or possibly Disfarmer feel… I actually recognized the melody that Bill played midway through, but can’t place it now. The first was a short film called The Mesmerist by Bill Morrison featuring a re-worked 1926’s film The Bells which featured Boris Karloff. It had been altered from the original, and I’m not sure what was part of the original and what was part of the re-imagining. It started with a very old, sepia & scratchy feel and grew into more animated splotches. The storyline is of an innkeeper who murders a rich visitor and is haunted by the murder he committed. Each film was in the 15-20 minute range. I was quite amazed at Buster’s utterly ingenious physical comedy. I was familiar with his work a little bit (trumpeter Dave Douglas and his Keystone band has used Buster Keaton in the past). The first one was a gangster caper with a really basic (but stupendous) cross-section of a house with tons of trap doors and moving walls. 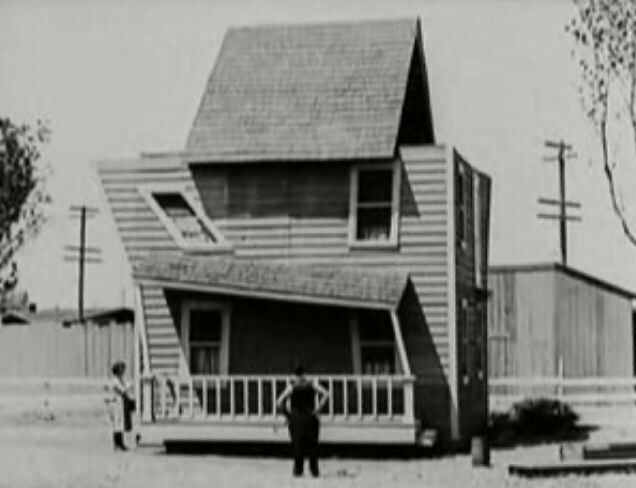 The second one was of a cheap home that was hurriedly built after a wedding with hilarity ensuing. 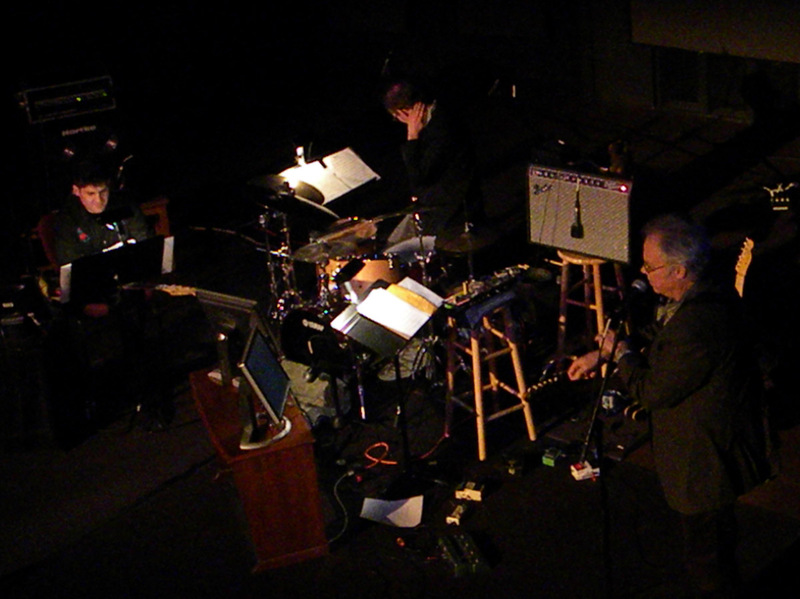 For the video (with non-Frisell music) check out YouTube of The High Sign and of One Week.